Property developers get creative to entice homebuyers with various discount schemes. Property developers, in effort to push out the balance units in their ongoing projects, are beginning to set up various incentives to entice home buyers. Such incentives include offering the chance to win a luxury car and giving out cash vouchers upon purchasing a unit in one of their private residential or new launch project. One of them was Mont Botanik Residence (in Hillview). 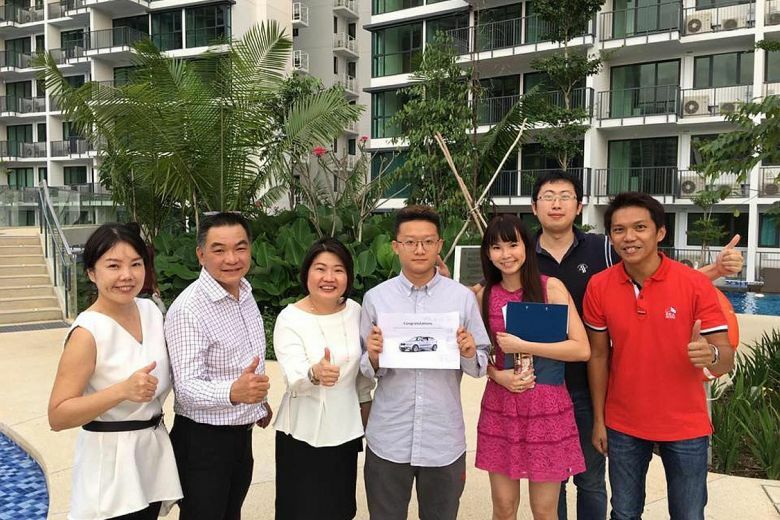 Recently, Tuan Sing Holdings, the project’s developer was giving away vouchers worth $50,000 for Jaguar cars for each unit being purchased. However, this promotion has since been replaced by a 3 percent discount scheme. Considering the given discounts, a 2-bedroom at the freehold 108-unit Mont Botanik will cost a minimum of $1.18 million. This new launch condo at Hillview was launched back in the 2nd half of 2018. Market watchers believe that such collaborations with luxury car brands will help elevate the perceived status and associate the residential project as being a high-end Singapore condominium. This will also help to set it apart from the other developments within the Hillview precinct. In addition, such promotion would also help property developers maintain the high price point for the project instead of the conventional method of revising prices downwards in order to draw buyers. Other than offering vouchers, property developer Kingsford Waterbay stepped up its effort to push out units at its latest completed project, Kingsford Waterbay by offering prospects to chance to win BMW car which worths more than $100,000. The Hougang condo has been fully sold as of end September 2018. It was noted that such sales strategy was being applied because the developer was eager to sell off all its unit in order to avoid the stipulation under the Additional Buyer’s Stamp Duty ruling which property developers are required to sell off all its units at their new residential projects within a 5-year time frame. Otherwise, the developer will have to incur a hefty extension fee which will be payable to the state. Things will likely get even tougher for developers with the revised property cooling measures in place since 06 July 2018. Industry experts mentioned that such incentives were widely seen during subdued market situations back during the 1998 Asian financial crisis and in the early 2000s when the dot.com bubble burst.